TS-67 is specifically formulated for lubrication requirements of gears, bearings and sliding surfaces that must operate in sub-zero environments, to a low of -76°F. TS-67 may also be recommended for needle bearings or other mechanisms requiring a non-channeling (non-cavitation) grease. For air motors, use TS-67 on slide valves, which tend to seize with ordinary grease -- even in warm climates. 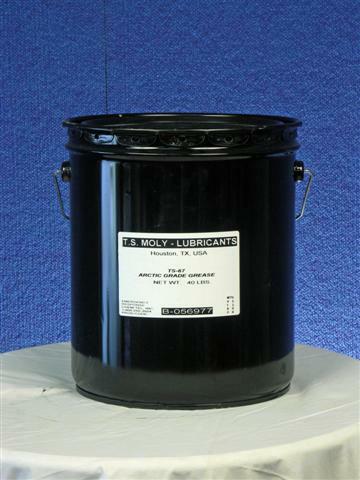 TS-67 is a synthetic lubricant capable of maintaining an effective continuous film at temperatures ranging from -76°F to +325°F. It has excellent extreme pressure and anti-wear performance; resistance to water absorption and rust. TS-67 is compatible with rubber and plastic materials.